Jay Rogers was born in Iowa and walked into South Dakota when his parents moved there when he was a child. The family of Jeremiah and Martha (Bennett) Rogers came in search of free land and settled on a claim near Bijou Hills in Brule County. They are described on a companion webpage. Jay met Bessie Cummings in the Bijou Hills area, and the couple was married there on May 11, 1911. The family lived near the Missouri River in “Rogers Draw” near Snake Creek. Jay operated a ferry at that location for a time. 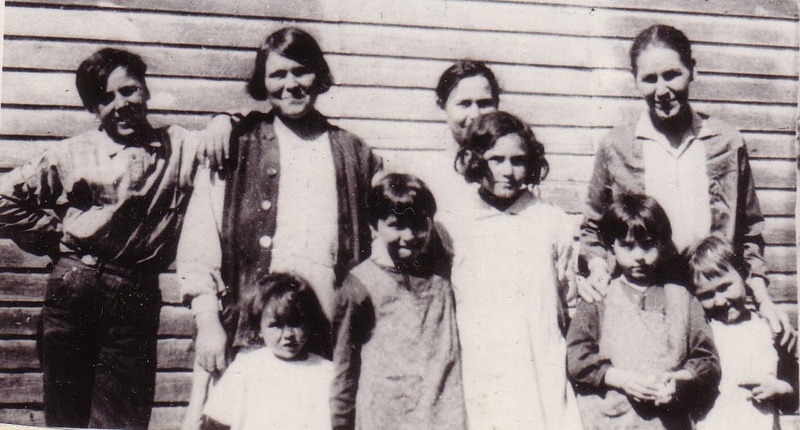 Jay and Bessie had eight children: Ferne, Helen, Vernon, Ruby, Dorothy and Doris (twins), Phyllis, and Evelyn. Jay Rogers’ ancestry is described below and on the webpage for his parents, Jeremiah and Martha Rogers. Bessie Cummings was the granddaughter of Amos Marrihew and Eleanor Lucy (Houck) Cummings. This couple was from New York and migrated to Bijou Hills with their children Jesse Betsey, William W, and Charles Austin Cummings. George Mortimer and Edgar Amos Cummings were born after the family arrived in South Dakota. Bessie was the third child of Charles Austin and Dora (Porter) Cummings. Unfortunately, Bessie died of bowel obstruction when the youngest child was only about two years old. Jay never remarried, and the children closely bonded as they more or less “raised each other”. Jay lived to over ninety years old. 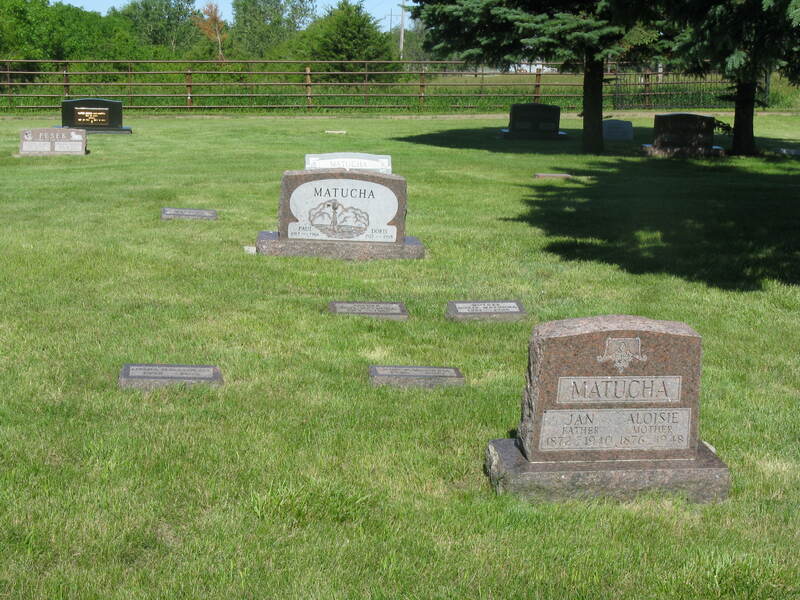 Both Jay and Bessie are buried at Union Cemetery, near the now-extinct town of Bijou Hills in Brule County. Addendums to this webpage have been prepared, one for a large collection of photos formerly in the possession of Jay Rogers (click here) and the other for photos related to Bessie Cummings family origins (click here). Thanks go to Jean Rosenkrantz for her extensive research for “Weavers of a Legacy1“, the best available source for Rogers family history information. A great deal of information on Jay and Bessie Rogers is presented in Jean Rosenkrantz’s “Weavers of a Legacy1“. An excerpt on the Rogers family is provided below on this webpage (click here). Ferne (Rogers) Roggow, oldest child of Jay and Bessie wrote the following excellent summary of the lives of her parents for The Saga of Sully Flats2 (p. 274). This summary also appears in “Weavers of a Legacy”. In 1914 Jay took over the Snake Creek ferry boat, The City of Platte, which he piloted for seven years. Jay narrates, “The first ferry at Snake Creek was put in by Guy Federli when Gregory County was opened up to homesteaders. Guy went down and bought a ferry in the city of Vermillion. He knew there would be a rush of land seekers for homesteads when the time came. Gregory County was opened by lottery. They registered and drew a number. The number entitled the holders to a certain one-fourth of the land when the drawing came. 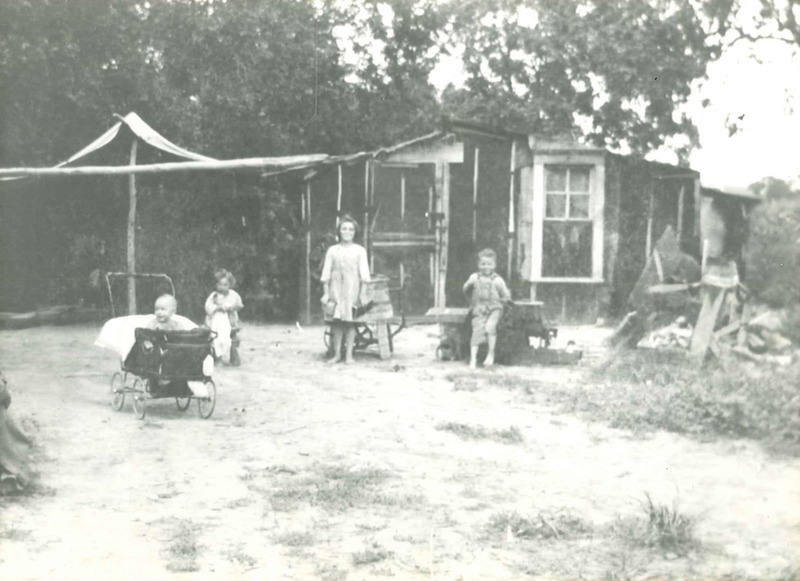 The number “1” choice of all the homesteads in Gregory County was drawn by Sanford Boiles. He drew the quarter where the city of Gregory is today. The gun referenced in italics in Ferne Roggow’s biography above was subsequently brought back into the Rogers family possession when Roger Tagtow, Jay and Bessie Rogers’ grandson, purchased it from a gun dealer. The inscription described above may be seen clearly on the firearm. A picture of Roger with the rifle is shown below. The photo was taken by the website author in November, 2011 at Roger and Bonnie Tagtow’s residence near Banner, Wyoming. A brief autobiography by Phyllis Grimshaw, second youngest child of Jay and Bessie Rogers, is shown below. It is primarily a description of her childhood in “Rogers Draw” near Snake Creek where it runs into the Missouri. Phyllis’ biography was prepared in November 1999 for the website author, who later provided it to Jean Rosenkrantz for inclusion in her “Weavers of a Legacy”. I dont hardly remember my mother  she died in October 1929, I wasfive. My Dad raised us girls. We had a good life in the old draw, lived in a house partly made of logs and partly boards with tar paper on the outside. We all learned to milk cows and ride horses and drive a team of horses. Hauled our water in barrels in a wagon pulled by a team from the Missouri River. We had a lot of fun when we was kids. Pa made sleds for us and we would slide down hill in the winter seems like mostly in Trewarthas pasture. We skated on the river in the winter. We swam in the river in the summer and Pafished and sold them in Platte. Pa also farmed with a team. We all helped in the field since we was little. We drove the team (Dolly and Bonnie) we used a drag to smooth the ground and sometimes we had to cultivate. 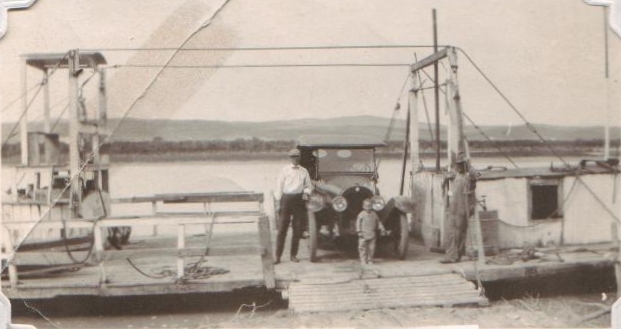 Pa ran a ferry boat to get cars across the river at Snake Creek, but that was before my time. We kids always was outside. We rode everything that had four feetthe horses, cows, pigs, calves, goats. Dorothy, Evelyn and I helped Pa get wood up for winter. We would go to what we called Sabins timber up the river from where we lived maybe 5 miles with a team and wagon and brought the logs home on the wagon, then sawed the logs into stove size pieces. Pa made the stove out of a barrel. Doris liked to play with dolls. Pa made those too and she liked to cut people out of an old catalog then cut out clothes to put on the people like paper dolls. She liked to stay in the house but she could drive a team or milk a cow or anything else like the rest of us. Jay injured his knee when jumping onto or off the ferry as a young man, and he limped and suffered from chronic pain for the rest of his life as a result. He treated it with liniment, and I remember as a child that he usually smelled of liniment. Grandpa was able to make or repair almost anything. He used to whittle a great deal, and I still have a toy he carvedwith a rectangular four-posted cage containing a round wood ball, carved in place within the cage, and with a human head on topall carved from a single piece of wood. He used to make great slingshots for me, too! A photo from grandson Virgil Rogers of the Rogers Home is shown below with the handwritten caption for the photo — “Taken in 1920. Ferne by the washing machine. Vernon by the engine & Ruby in the buggy. Helen by the buggy with the doll”. This photo was apparently taken at about the same (1920) as the portrait photo of the same children, but with the addition of Ruby to the family. Photo from Virgil Rogers, October 2010. 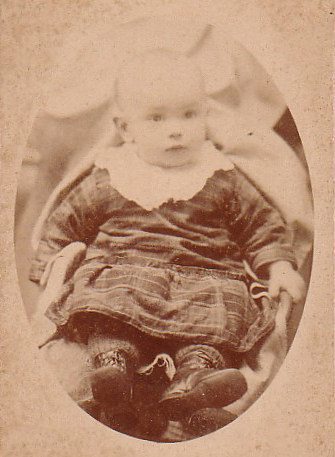 Ferne Roggow also had in her possession a picture of Jay Rogers as a baby. 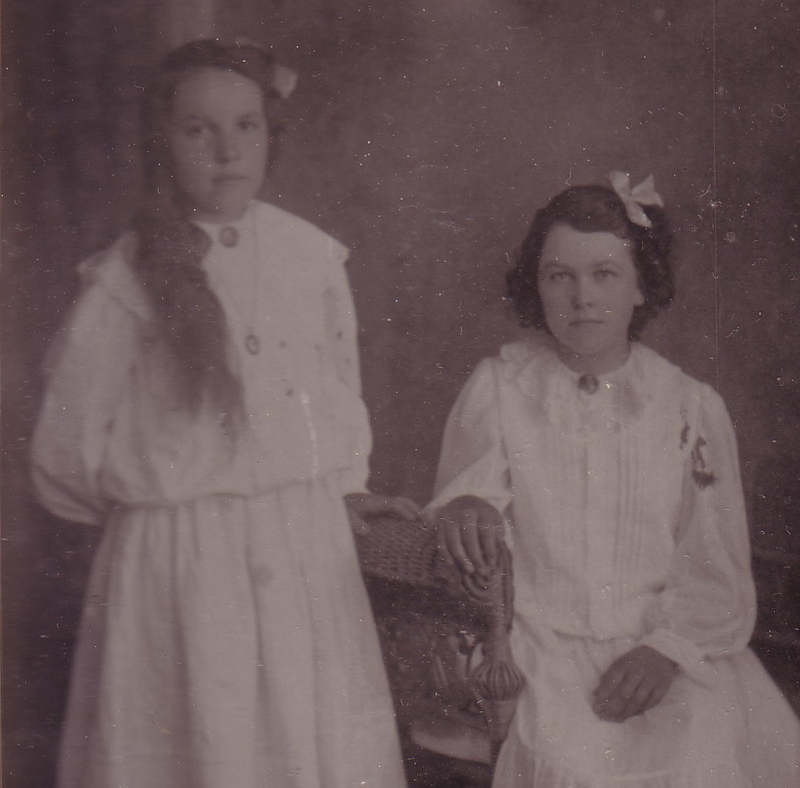 A photo of two of Bessie’s sisters is shown below. Additional information on her family of origin is provided below. 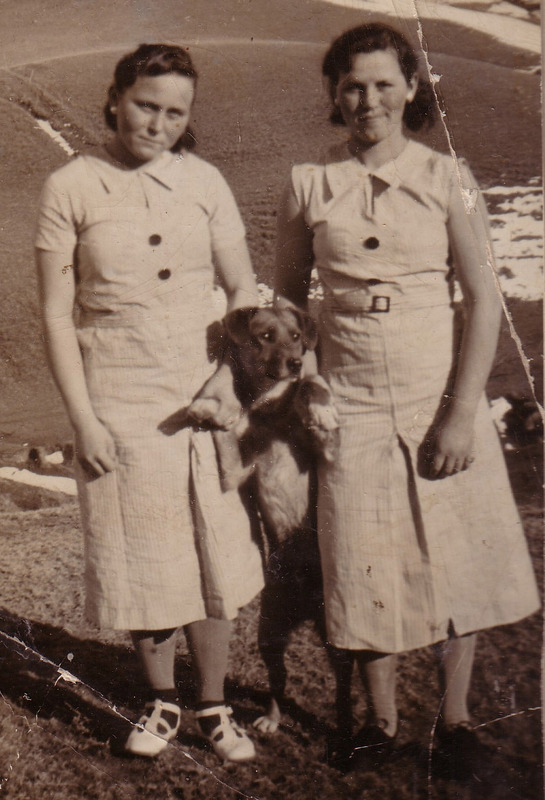 Grace (left) and Maude Cummings. From Doris Matucha Album B5, p 3. Also from photo collection from Charles Anderson. Bessie Cummings’ parents, Charles and Dora Cummings, are shown below with her sister, Grace. 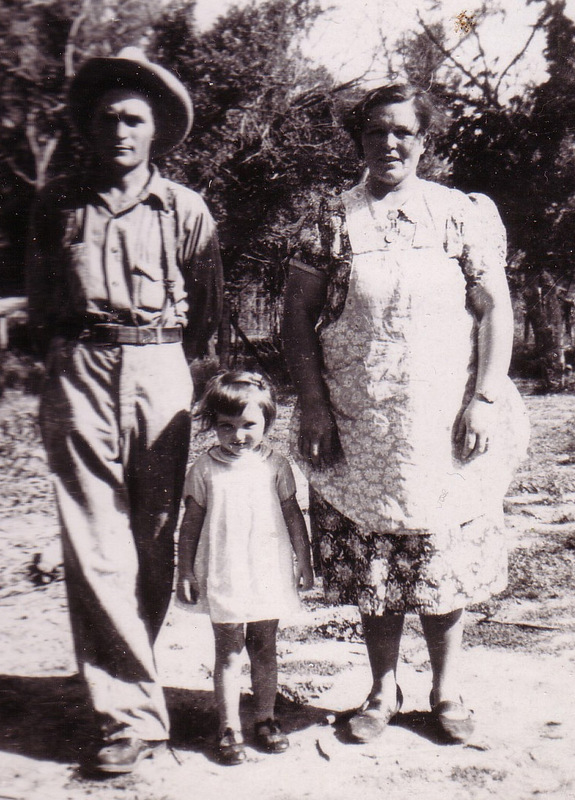 From Ferne Roggow album: “GrPa & GrMa Cummings & Aunt Grace”. Grace later married Arthur Anderson. 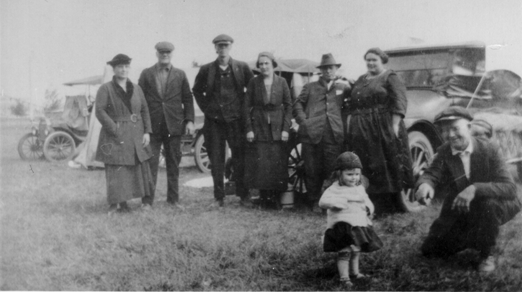 Another photo of the family of Charles and Dora Cummings, this one including Bessie, is shown below. Doris Matucha Album B5, p 1: Charles, Dora and Linnie Cummings (back) and Bessie, Grace and Bert Cummings (front). Photo taken in 1922. Group photos the children of Jay and Bessie Rogers are shown below. A 1920 photo of the first ferry is shown below with Jay on the right and Vernon in the middle. The identity of the man on the left is not known. Shown below are information and photos of each of the children of Jay and Bessie Rogers, presented in birth order. 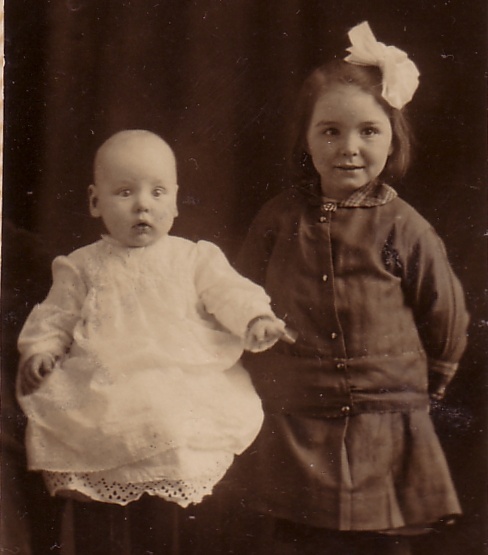 Ferne Rogers as a young girl is shown below with her baby brother, Vernon. A much later photo of Ferne with her husband, Bob Roggow, is shown below. From Doris Matucha Album 6. Bob and Ferne Roggow with their daughter, Violet. 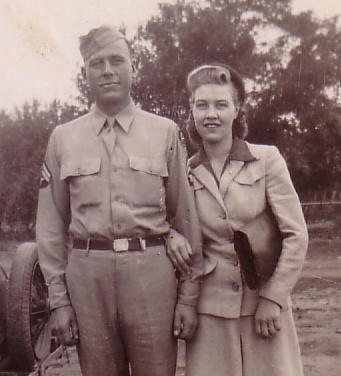 A photo of Vernon and Gladys, taken when he was in the U.S. Army in World War II, is shown below. Helen Byrum album. Photo from Helen Byrum album. 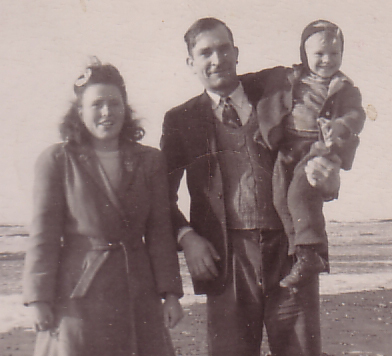 Vernon and Gladys are shown below with their two sons. Rodney (right) had cerebral palsy. Vernon and Gladys were subsequently divorced, and Vernon married Mae Masciantano. The couple lived on a farm north of Pueblo, Colorado. 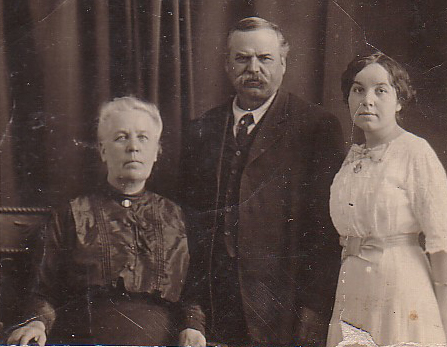 George and Helen (Rogers) Tagtow are shown below with daughter Marie. From Doris Matucha Album A2, page 10. Date unknown. Helen had two more children, Roger and Sandy, with George Tagtow. After George’s death, Helen married Ray Byrum and had one additional child, Kim Byrum. Photos of Ruby and George Ludemann are shown below. 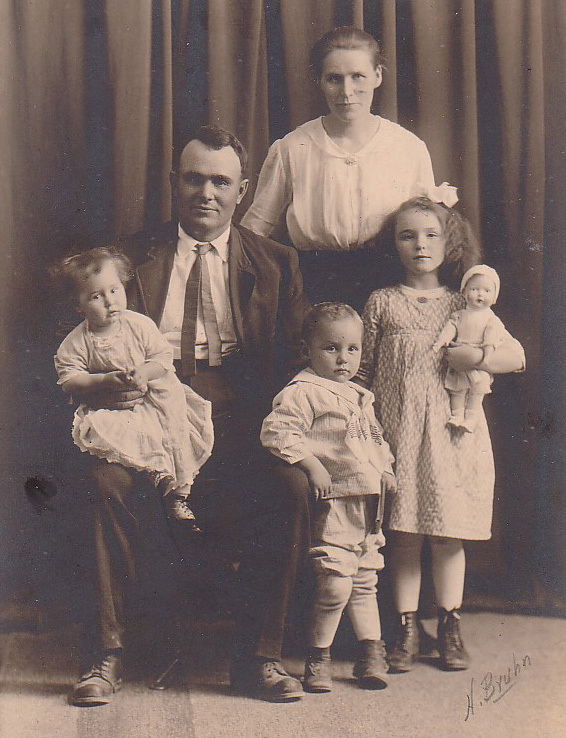 Ruby and George Ludeman had four children — Luetta, Donnie, Marva, and Kayla. 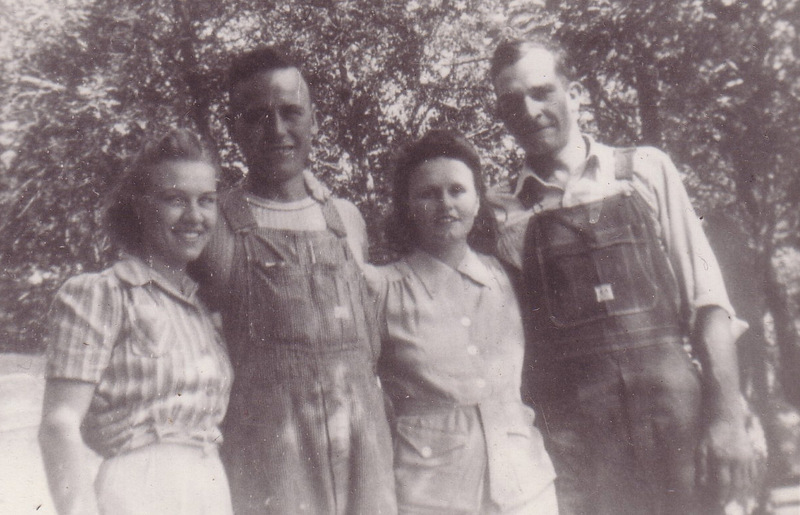 Dorothy Baker is shown below with her fraternal twin, Doris, and with her husband, Thomas Baker. Dorothy and Thomas Baker had one child, Sharon, and raised a child, Linda, of Dorothy’s sister, Evelyn. 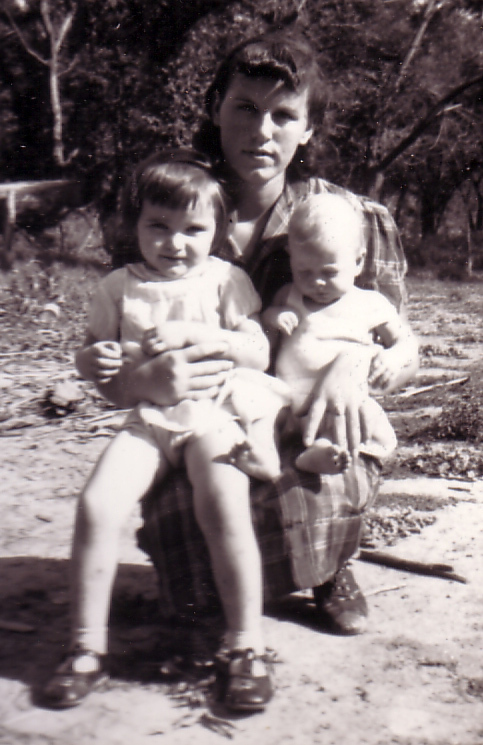 Doris is shown below with her son, Virgil, and niece, Violet Roggow. 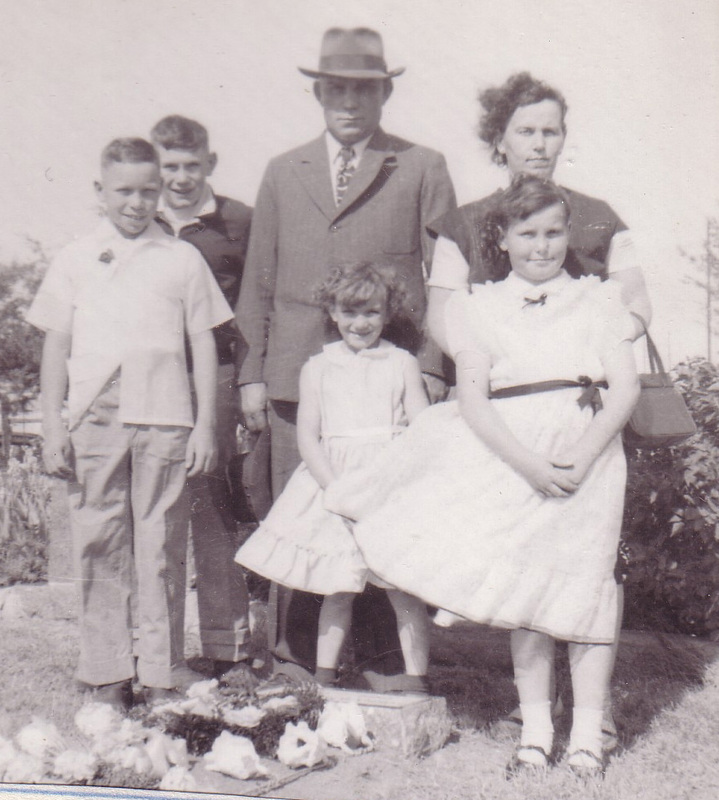 Doris with her husband, Paul Matucha, and family is shown below. 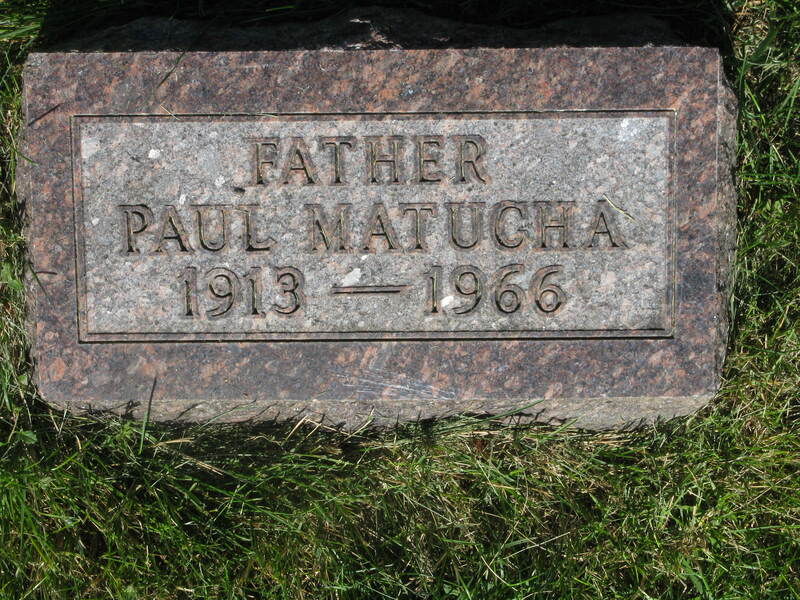 The photo was taken at the gravesite of Doris and Paul’s youngest daughter, Lorna, who died as an infant. Phyllis Grimshaw is shown below with her husband, Claude, shortly after their marriage. Phyllis and Claude had two sons, Thomas (the website author) and Joseph. Additional information on this family is provided on a companion webpage. From Phyllis Grimshaw Album 1. Taken shortly after they were married on April 1, 1944. 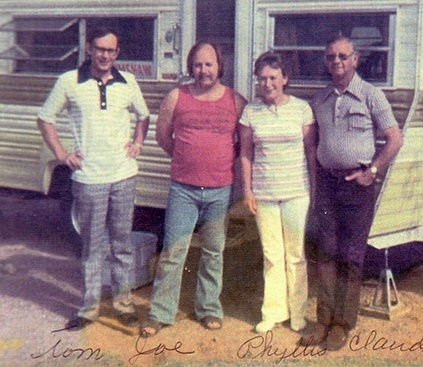 Claude and Phyllis with sons Tom (left) and Joe, 1974. From Phyllis Grimshaw album. 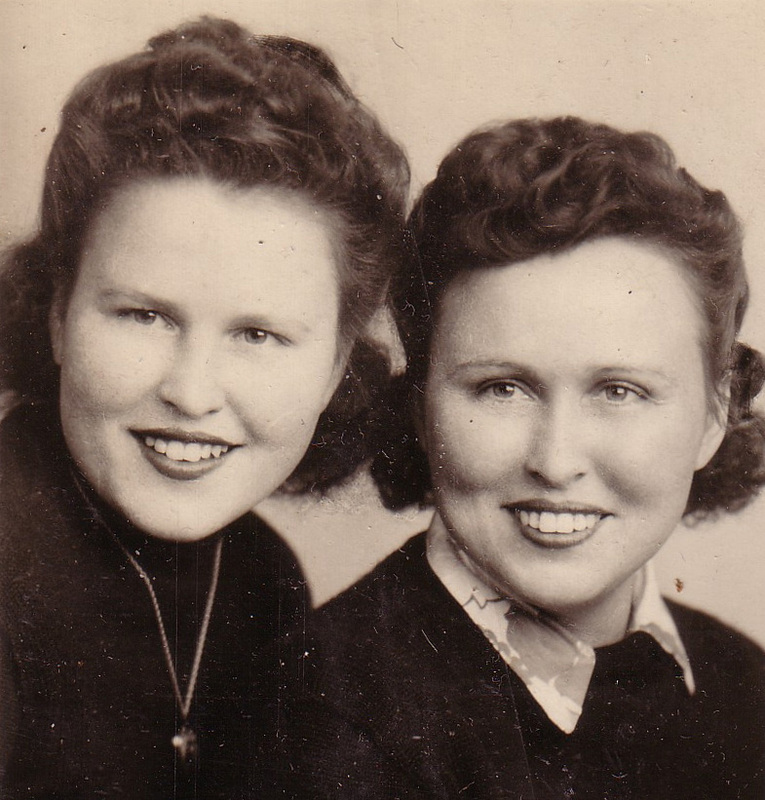 Evelyn Rogers is shown below with her sister, Dorothy. Evelyn and Gordon McClintock had several children. From Doris Matucha Album A9 p2: “Love Dorothy Evelyn.” Evelyn is on the Left. Bessie Cummings’ earliest known ancestors are William and Clarissa (Russell) Cummings, who were married in New York in about 1821, after William arrived there from his birth state of Vermont. William may have ancestors in Ireland, but this has not yet been confirmed. Their son, Amos Marrihew, and Eleanor (Houck) Cummings were married in 1849 in New York and arrived in South Dakota between 1856 and 1862, the birth years of their fourth and fifth child. William and Clarissa Cummings’ descendant chart is shown below; it has been assembled from several family trees on Ancestry.com, which are listed below the chart. William Cummings, Sr (1785, VT  aft 1860, New Albion, NY) & Clarissa Russell (7 Apr 1800, Thetford, VT). Married abt 1821, Tully, NY. |—1 William Spencer Cummings (abt 1821, New Albion or Tully, NY  10 Dec 1883, Vestburg, MI) & Lydia A Woodmansee (17 May 1825, New Albion, NY  3 Oct 1906, Richland, MI). Married before 1840. |—|—2 Anna Eliza Cummings|— (4 May 1852, New Albion, NY  6 May 1927, Vestaberg, MI) & William C Ogden. Married 20 Jun 1870, Ithaca, NY. |—|—2 Anna Eliza Cummings|— (4 May 1852, New Albion, NY  6 May 1927, Vestaberg, MI) & William O Wartz. Married 1880, Elm Hall, MI. |—|—2 William Wellington Cummings (Dec 1854, New Albion, NY  11 Nov 1910, Montcalm, MI) & Myrtle L Goho. Married 26 May 1900. |—|—2 Frank F Cummings (abt 1858, New Albion, NY  abt 1950, Richland, MI) & Melissa Struble. Married 6 Nov 1926, Gratiot Co, MI. |—1 Amos Marrihew Cummings (24 Mar 1825, Tully, NY  26 Feb 1900, Bijou Hills, SD) & Eleanor Lucy Houck (21 Oct 1828 or 29, NY  26 Feb 1917, Nevada City, NV). Married 11 Feb 1849, New Albion, NY. |—|—|—3 Linnie Nadine Cummings* (6 Feb 1886, Bijou Hills, SD – 16 Mar 1981, Gregory, SD) & Lewis Alfred Ellis (1887 – 1924). Married 11 Sep 1907, Chamberlain, SD. |—|—|—3 Linnie Nadine Cummings* (6 Feb 1886, Bijou Hills, SD – 16 Mar 1981, Gregory, SD) & Amsy Franks. Married Sep 1925. |—|—|—|—4 Garnetha Yvetta Cummings* (23 Mar 1920, La Roche, SD  11 Oct 1994, Mantesano, WA) & Leonard D Lyons (17 Oct 1916, Nobles Co,, MN  3 Jan 1999, Seatlle, WA). 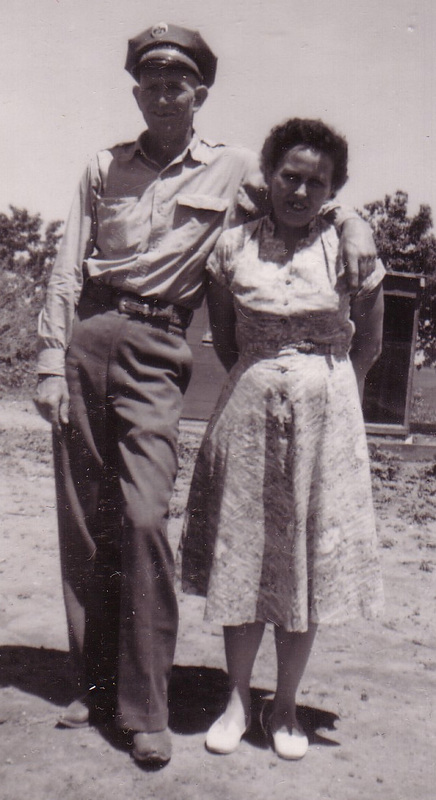 Married 6 Mar 1939, Davison Co, SD. |—|—|—3 Grace Cummings (Jan 1895, Brule, SD – ?) & Arthur V Anderson (4 August 1886, Bijou Hills, SD  9 Mar 1962, Brule, SD). Married 16 Jan 1917, Brown Co, SD. |—|—2 William W Cummings (Jan 1858, Des Moines, IA  14 Nov 1932, Oacoma, SD) & Martha Adaline Hoff (25 Sep 1862, Hoff’s Settlement, IA – ?). Married 1882, Oakdale Settlement, IA. |—|—|—|—4 Gertrude Cummings (22 Jul 1888, SD – ?) & James Raymond Frank (5 Feb 1885, Elk Point, SD – Aug 1950). Married 13 Mar 1907. |—|—|—|—4 Carrie E Cummings (May 1891, SD – ?) & F V Rhodes. Married 29 May 1911, Council Bluffs, IA. |—|—2 George Mortimer Cummings (12 Mar 1862, Whetstone Agency, SD  23 Jul 1929, Mobridge, SD) & Louisia Bridget DuCharme (21 Nov 1863, Wheeler, SD 22 Dec 19264, Dewey, SD) Married 3 Dec ? |—|—|—3 Walter George (Jay) Cummings 11 Jan 1887, Wheeler, SD  1 Jun 1951, Spearfish, SD) & Lavon Johnson. Married 3 Dec 1917, Aberdeen, SD. |—|—|—3 Mabell Marie Cummings (4 Feb 1901, Promise, SD  3 May 1982, Seattle, WA) & Fred Edward Hill Hill (2 Jul 1898, SD  14 Jun 1963, St Paul, MN). Married 5 Dec 1917, Promise, SD. |—|—2 Jesse Betsy Cummings (Oct 1866, IA  15 May 1938, Napa, CA & Rinaldo Elmer Lotz (May 1888, SD  8 Feb 1930, Tenino, WA). Married 1887. |—|—|—3 Albert Ross Lotz* (May 1888, SD – 8 Feb 1930, Tenino, WA) & Mary Tierman ? |—|—|—3 Albert Ross Lotz* (May 1888, SD – 8 Feb 1930, Tenino, WA) & Eva Anna ? |—|—2 Edgar Amos (Pat) Cummings (12 Mar 1870, Jefferson, IA or Whetstone Agency, SD  20 Feb 1952, Challis, ID) & Marie Boutieller (1 Sep 1875, IN 28 Apr, MacKay, ID). Married 1895. |—1 Elizabeth Jane Cummings* (Jan 1833, New Albion, NY  29 Mar 1914, Richland, MI) & Hiram James B Chase. Married abt 1851, Cattaraugus Co, NY. |—1 Elizabeth Jane Cummings* (Jan 1833, New Albion, NY  29 Mar 1914, Richland, MI) & Philetus A Waldron. Married 15 Oct 1908, Ithaca, MI. |—1 Catherine Cummings (11 Apr 1836, Little Valley or New Albion,, NY  14 Aug 1889, Clinton, MI) & Malcolm M Sherwood (16 May 1823, Darien, NY  17 Jul 1903, Gratiot, MI. |—1 James Avery Cummings (1836, New Albion, NY  17 Feb 1867) & Sophronia Sias (1842, NY  1895, Gratiot, MI). Married 8 Oct 1859, Gratiot, MI. 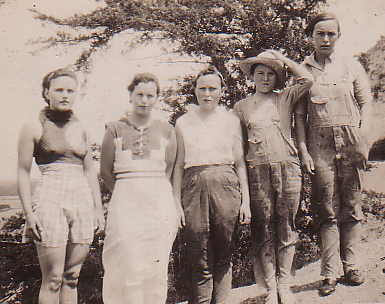 The following Cummings family photo was found on the Hill2 Family Tree on Ancestry.com. The individuals were identified as shown below the photo. George Cummings was Bessie’s uncle, Arthur Anderson was her brother in law (husband of Grace), and Bert Cummings was her brother. Garnetha Cummings was her neice (Bert Cummings’ daughter). Additional Cummings family photos may be found in the addendum to this webpage described in the introduction; click here to to to the addendum webpage. Welcome to the award-winning Sullivan County Pennsylvania Genealogy Page! Here you’ll find a plethora of information concerning the settlers of Sullivan County, its rich history, the Endless Mountains, and a lot of useful resources to research your family surnames. This is a FREE genealogy resource sponsored through USGenWeb and PAGenWeb and can always be reached directly at no charge. The description of Jay and Bessie Cummings in “Weavers of a Legacy” is shown below. Jeremiah Rogers, Jr., as far as any of the living relatives know, was known as Jay and will be so referenced in this biography. Jay married Bessie Leona Cummings on May 1, 1911 at Bijou Hills, South Dakota. 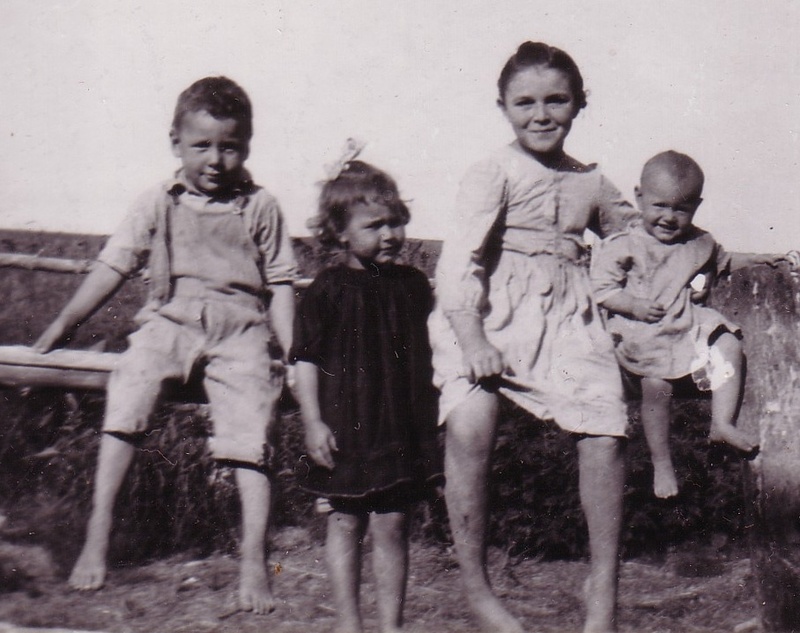 Jay and Bessie were the parents of Ferne born 1912, Vernon born 1915, Helen born 1917, Ruby born 1919, twins Dorothy and Doris born 1921, Phyllis born 1924 and Evelyn born 1925. All of the children, as of this writing, are deceased except Helen who lives in Pierre, South Dakota and Phyllis who lives in Texas. Just three months after the death of his father, Jay lost his wife, Bessie, who died on October 31, 1929 at Snake Creek. Her death left Jay with eight children to raise, the youngest only four years old. Jay did not remarry. He did not farm out the children. He did not have emotional support from a widowers grief group or Parents Without Partners. His children probably had to grow up very fast, and the older ones cared for the younger ones. Jay played an historical role in early Missouri River navigation as the owner and pilot of a ferry which crossed the Missouri River linking the east bank of Charles Mix County with the west bank of Gregory County. There were no bridges across the river at that time. The first known ferry on the Missouri River in this area was a rope pull ferry located at Ft. Randall in Charles Mix County. A cable was anchored on each bank and the cable ran through rings on the side of the ferry. The boat was pulled, oared and pushed across the river. That first boat was sold to a Donald Slate who put a tread power on the ferry that was powered by horses. In 1898 a gas powered sternwheeler, The Nellie L, replaced the tread power boat at that crossing. Mrs. Allie Trewartha and son, Orrie, built the Snake Creek store at the crossing in 1910. (Allie was Alma Ann Bennett Trewartha, a sister of Martha Bennett, and an aunt to Jay Rogers.) The store also provided travelers with lodging and a barn. Jay Rogers and Eldon Squire McMullen were pilots of the boat, but assistants included George Gordon, George Harding, George and Ewald Roggow. The ferry crossing fare was $1.25 plus 25 cents for an auto. Business was brisk, especially on weekends, with many fishermen on the west side of the river heading to Red Lake. Pauls son, Eldon Bud Rogers, adds that his father had been the youngest person to receive a river captains license at the time. 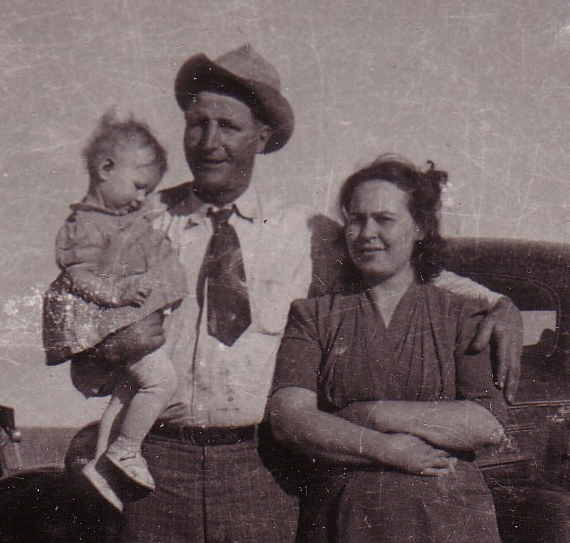 My father, Jay Rogers, was born to Jerry and Martha Rogers, January 1, 1884 in Panora, Guthrie County, Iowa. Their family consisted of George, Jim, William, Jay and Edna. Jim and Will passed away years ago. Edna Rogers Peterson is 86 years old and in very poor health. She lives in Ridgefield, Washington. Jay is 91 years old and in fair health. He lives at Pierre, South Dakota with his daughter, Mrs. Helen Byrum. Jay Rogers and Bessie Cummings were married May 1, 1911 at Bijou Hills and lived there the first years of their married life. Jay and his dad, Jerry Rogers, bought a threshing machine together and threshed grain a couple of years around Geddes, South Dakota. 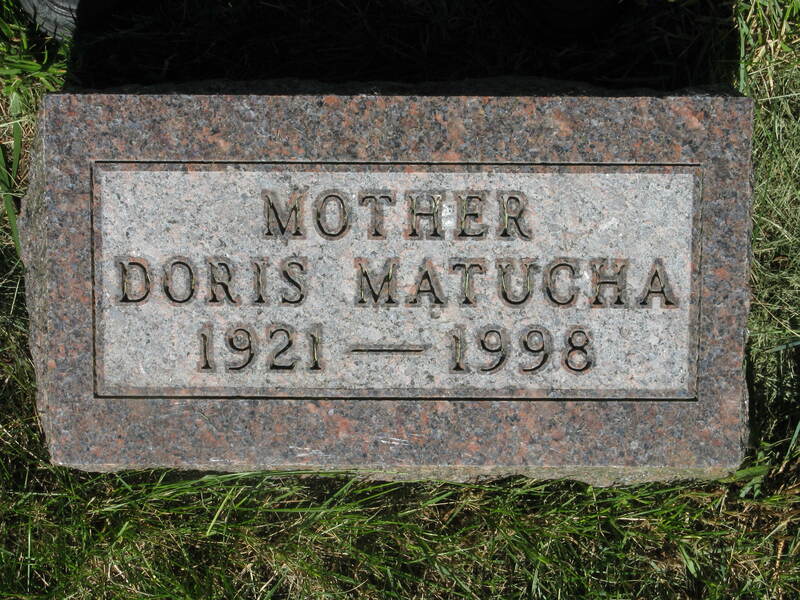 Our mother passed away on October 30, 1929 (sic October 31) leaving Dad to raise eight children and he did. He kept us all together; went through the dirty 30’s. He fished and sold fish, trapped animals, sawed lumber, cut wood and worked for different ones to make a living. Back in 1914 he took over the Snake Creek ferry and ran it 7 years, built a new one and he and Eldon McMullen worked together. In 1921 or 1922 he sold out to McMullen and moved to a farm we called the Turgeon Place. Now they call it the Rogers Draw. We lived there two years and moved to Iona on the ice in January and went into partnership with George Tagtow to run that ferry boat called the Phyllis-Lorraine. We lived right on the river by the ferry landing. We lived there one year and moved back to the farm at Platte, or Turgeon Place in 1925. We lived there until 1937 when we all decided to go to Oregon. During this time on the farm we never raised many good crops. We lived in a log cabin; they are warm homes. In 1937 Dad had a sale and sold out, bought an International truck and put a cover over it, and we all went to Oregon. The girls and Dad picked berries during the summer, also hops. In August they all came back to South Dakota. I dont hardly remember my mothershe died in October 1929, I was five. My Dad raised us girls. We had a lot of fun when we was kids. Pa made sleds for us and we would slide down hill in the winter seems like mostly in Trewarthas pasture. We skated on the river in the winter. We swam in the river in the summer and Pa fished and sold them in Platte. 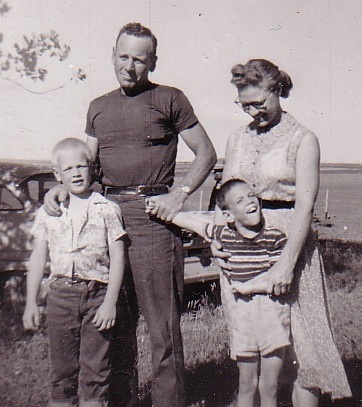 The childhood memories of Jays children, who lived under conditions that we would label as deplorable today, are a tribute to the courage and tenacity of not only Jay Rogers, but of all prairie pioneers. Lets take a short diversion to explore just one of the many prairie hardships endured by all early pioneers of the South Dakota homestead erahousing. The humble little dirt-floor log cabin where Jay lived was actually quite modern for its time. Prairie housing was more typically tar paper shacks, dugouts and sod houses. Homesteaders such as the Rogers, who lived near a river, hauled logs up from the river bottom to construct their log houses. Tar paper shacks were framed with twisted planks and then covered with black tar paper. Such a crude shelter was only intended as temporary housing during mild weather months, but in reality often became a permanent dwelling place for impoverished settlers. The dugout consisted of a hole literally dug out of the side of a hill sometimes with an open roof covered with brush and sod. Often the only visible sign of a dugout was the stove pipe sticking out above the sod roof. The poem to follow is a humorous tribute to all of our pioneer ancestors who endured the hardships of the soddy. In my little old shanty on the claim. And everything is scattered round my room. For the table of the eastern mans old home. In the little old sod shanty on the claim. Although the descendants of the emigrant woolen weavers branched out into many other vocations, some of them were still weaving in one fashion or another in the 20th century. Jay Rogers and his daughter, Ferne Rogers Roggow, and possibly the other children as well, wove fish nets traps which they used for their own fishing and marketed to other Missouri River fishermen. Ferne was also known throughout the neighborhood as a skilled seamstress and quilter. I am indebted to Ferne, as the Rogers-Roggow historian, for her records and photos that have graced this chapter plus her personal encouragement through the years. 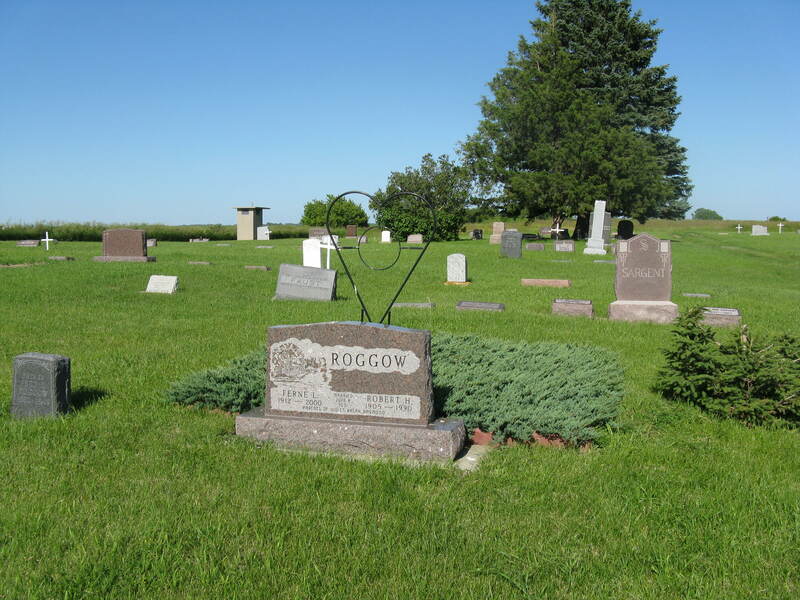 She died January 13, 2000 at Burke, South Dakota and is buried with her husband Robert Bob Roggow at Lucas where she and Bob spent most of their married life about seven miles from their beloved Missouri River. Fernes father, Jay Rogers, died January 16, 1978 at Pierre, South Dakota, and is buried in the Rogers family plot at Bijou Hills Union Cemetery with his wife, Bessie Cummings Rogers. Myron Northrop was the son of Alma Rogers (Jacob3, Samuel II2, Samuel I1). Jeremiah and Martha (Bennett) Rogers, parents of Jay Rogers, are described as follows in Jean Rosenkrantz’s “Weavers of a Legacy”. As noted, this family may be found on a companion webpage. Jeremiah Rogers was born in Pennsylvania in 1849. He was descended from a family line that originated in Yorkshire. Jeremiah and Martha Bennett, who was born in Wisconsin also in 1849, were married in Red Mount, Wisconsin in 1875. They had six children – George, James, William, Jeremiah Jr (who went by “Jay”), Edna, and Paul (who died in infancy). The family left Wisconsin and migrated west, living first in Iowa and then South Dakota. The first three children were born in Wisconsin, Jay in Iowa, and the last two in South Dakota. 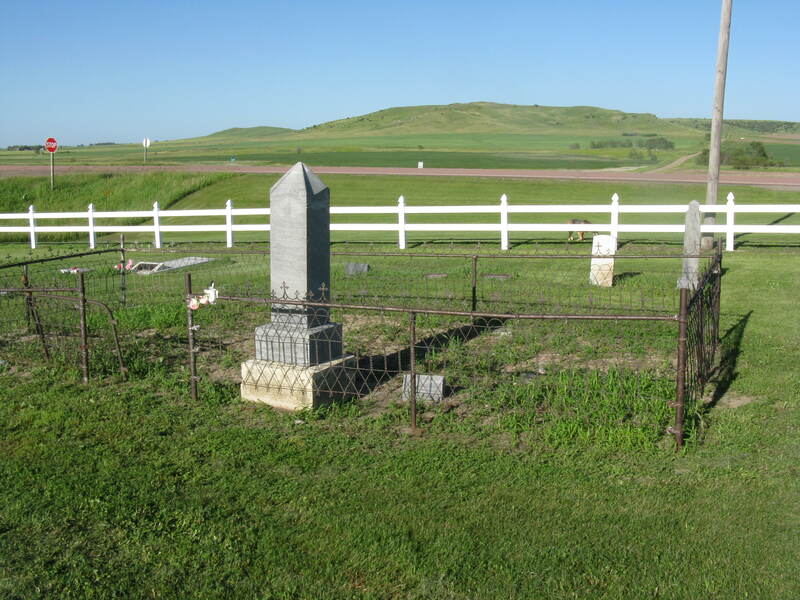 Jeremiah and Martha took out a homestead in Brule County, South Dakota in 1889, about four miles east of Bijou Hills. However, the family moved around a good bit, living at different locations in South Dakota and Bemidji, Minnesota. 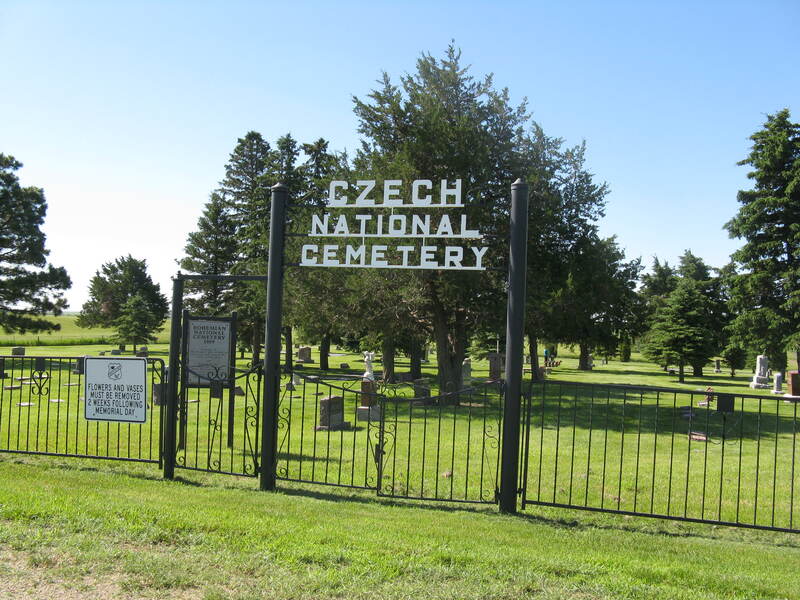 Jerry and Martha lived out their lives in South Dakota and are buried at Union Cemetery near Bijou Hills. 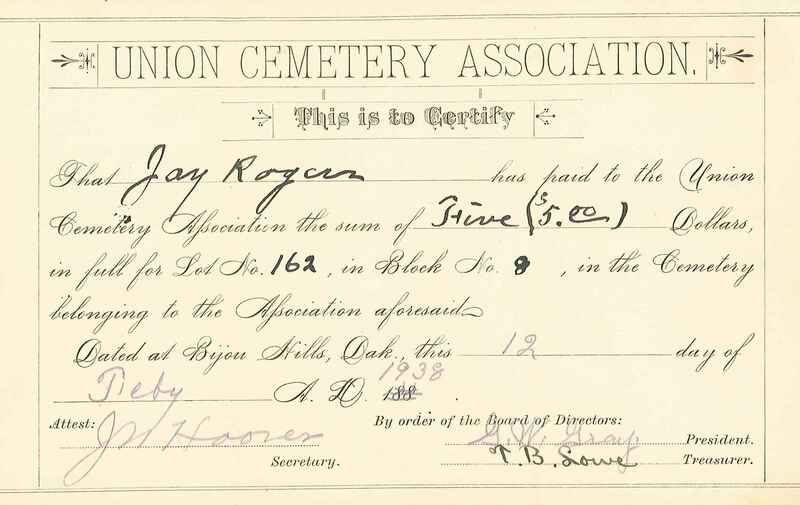 Pat Surat of Bijou Hills found the certificate for Jay Rogers’ lot at Union Cemetery; it is shown below. The certificate indicates that Lot 162 was purchased on February 12, 1938 by Jay Rogers for $5.00. This certificate is somewhat of a mystery, since Jay’s wife, Bessie, died in 1929 and is buried in the lot. 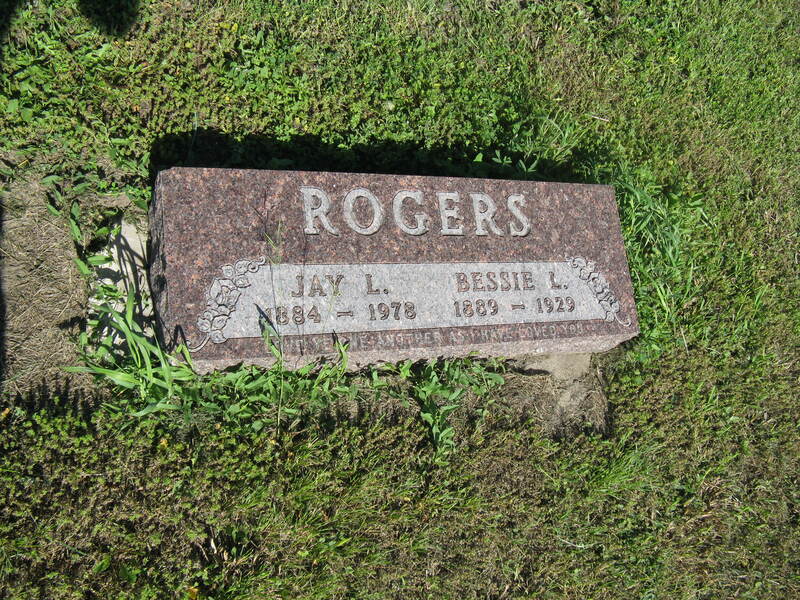 Jay and Bessie Rogers are buried next to each other in Union Cemetery near Bijou Hills, SD. 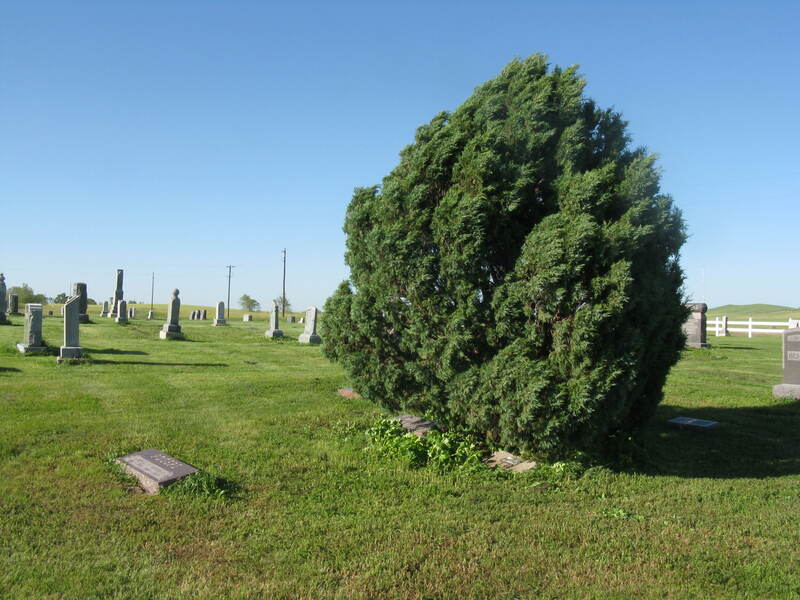 Their graves — under a windblown tree — are shown below with a closeup of the main gravestone. There are individual gravestones under the tree as well. Jay’s parents, Jeremiah and Martha Rogers, are also buried in Union Cemetery. The photos were taken by the website author in 2010. Shown below are the gravesites of Bessie’s grandparents, Amos and Eleanor Cummings, and parents, Charles and Dora Cummings. The photos were taken by the website author in 2010. Gravesite of Amos and Eleanor (Houck) Cummings in the Northeast Part of the Cemetery (Eastward View). Note the Bijou Hills in the Background. Photo Taken by Website Author in 2010. The following closeup of the grave marker is from Find-A-Grave. The inscription is from a hymn written by Margaret Mackay, 1832, and set to the tune “Rest” by William Batchlder Bradbury, 1843. The grave markers of Charles and Dora (Porter) Cummings are shown below. The gravestones are located near a Cummings family plot in Union Cemetery, but are not in the plot. The gravesites of the eight children are shown below. The collection is still incomplete. 2 Gnirk, Adeline S, 1977, The Saga of Sully Flats: Gregory, SD, Gregory Times-Advocate. 299 p.
Webpage posted June 2008. Upgraded June 2012 with transfer of information from Jeremiah and Martha (Bennett) Rogers webpage. 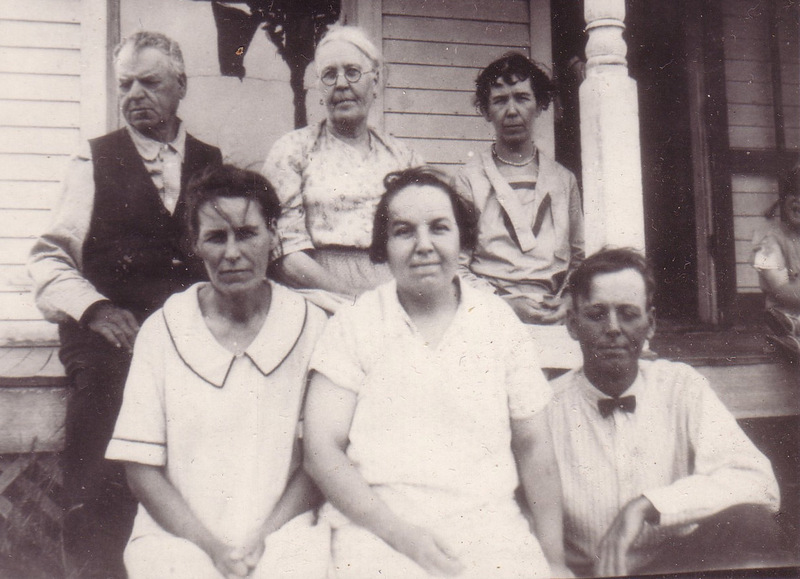 Updated December 2014 with family origins information on Bessie Cummings and with creation of addendum webpage for large collection of photos.